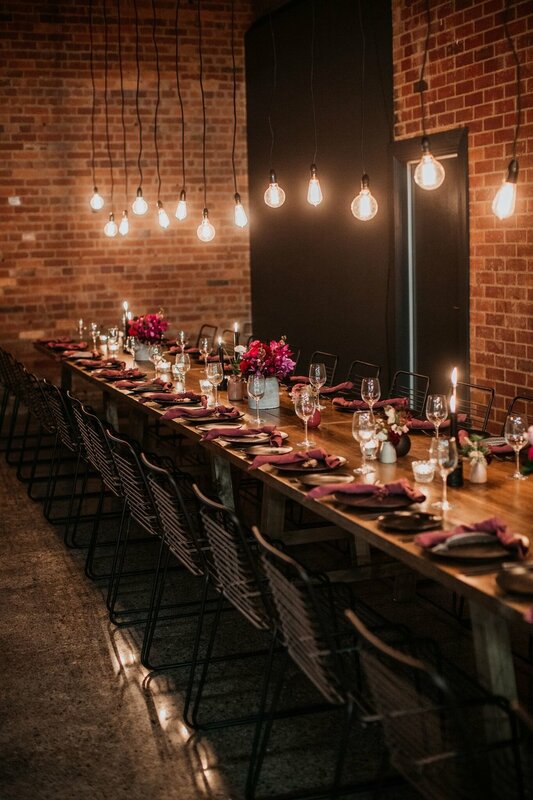 We created The Lushington to bring a unique and purpose-built event space to Brisbane, that pays homage to an order known as the City of Lushington… A convivial society of actors that met for entertainment and social recreation at the Harp Tavern, Russell Street, London, during the late 1700’s to the 1800’s. The meeting rooms were organised in the form of a City, by the ‘Lord Mayor’ and four of his aldermen, who presided over the wards. Lesser officers carried the prefix ‘City’ in their respective titles. For example, The City Taster had the important role of tasting the ale at the inns before the lodge opened. If it was found to be delicious, and generally it always was, the inn was fined two gallons of ale which was consumed by all without payment. By the end of the 19th century, ‘lush’ was being applied to any habitual beverage consumer. To be a Lushington one had to be either an actor or artist, selected guests were invited, and many stagehands obviously made themselves available. Eventually, the meeting rooms were packed to capacity, and the Lushingtons became a closed shop. In 1822 Stagehands led by Joseph Lisle an artist and W. Sinnett started calling themselves The Royal Antediluvian Order of Buffaloes. The ‘Buffaloes’ eventually made their way to Australia and in 1916 when public house (pubs) were forced to close at 6 pm. The Royal Antediluvian Order of ‘Buffaloes’ acquired a dispensation from the Queen to open their lodges for another four hours even on Sundays. Membership rose quickly, and ROAB lodges opened across Australia, until the 1960s when hotel trading hours were extended and hotels were allowed to open on Sundays, that’s when membership fell, and lodges closed. Now this former ROAB lodge has been transformed into an exciting event venue, to keep alive the spirit of the City of Lushington. We at The Lushington invite you to be part of this grand heritage for your next important event or Wedding.